This matt white wood pendant features an attractive floral design. 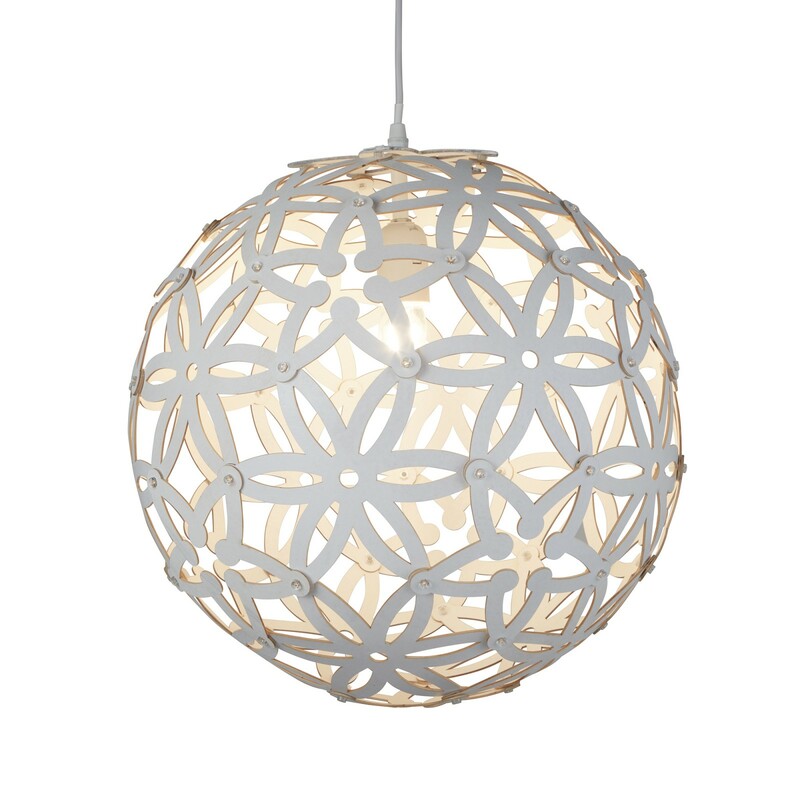 The large pendant provides a charming warm glow to brighten any modern living area. It is a versatile item that will compliment many decors and interior styles.